Minneapolis-based rock band FADES AWAY has emerged from a 3 year hiatus with a new album entitled RESURRECTION PART I, due for release on 22nd June. With hard hitting guitars, soaring vocal melodies and pounding drums, the album melds the genres of metal, hard rock and prog perfectly and is sure to please fans of all three. The band have released a new single from the album, 'Sad State Of Affairs…', available to purchase/stream now. Read More Minneapolis-based rock band FADES AWAY has emerged from a 3 year hiatus with a new album entitled RESURRECTION PART I, due for release on 22nd June. With hard hitting guitars, soaring vocal melodies and pounding drums, the album melds the genres of metal, hard rock and prog perfectly and is sure to please fans of all three. After years of touring and sharing the stage with wildly successful bands like SKILLET, BRIAN “HEAD” WELCH (GUITARIST FROM KORN), THOUSAND FOOT KRUTCH, FIREFLIGHT, RED and THROW THE FIGHT, the members of FADES AWAY took a break in order to focus on family and other daily rigors of life. 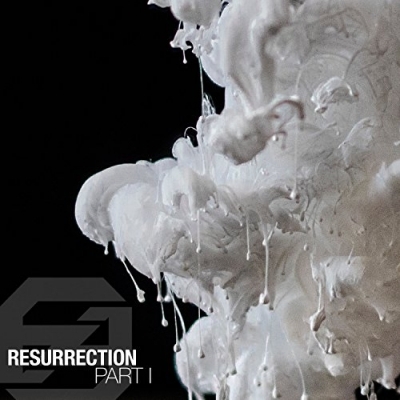 The release of RESURRECTION PART I heralds a revitalized direction for the band’s next chapter and, like a phoenix rising from the ashes, the band awakens as a new creature - recognizable yet distinctly different.